Next time you are visiting Canberra, do pop into the Museum of Australian Democracy at Old Parliament. It is a great place for families and their children to visit the 1920's historical site which was home to the House of Federal Parliament until 1998. It is also an important place where families can engage in conversations about Australian Democracy and their voices in it. We loved visiting the House of Representatives Chamber as well as the Senate Chamber and pretend we were politicians! We admired the architecture throughout the building especially the old doors, furniture and symbolic pieces like the Queen's replica Crown Jewels which little Miss loved looking at. There are many exhibitions at the Museum of Australian Democracy that change frequently. 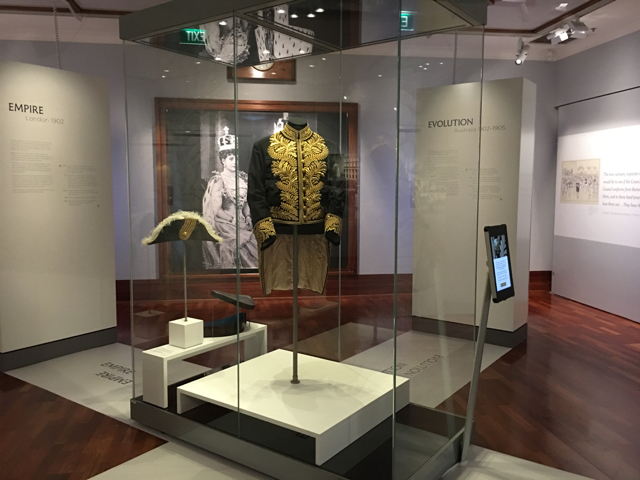 We saw the Dress Code: Empire exhibition which was great as well as permanent exhibitions. 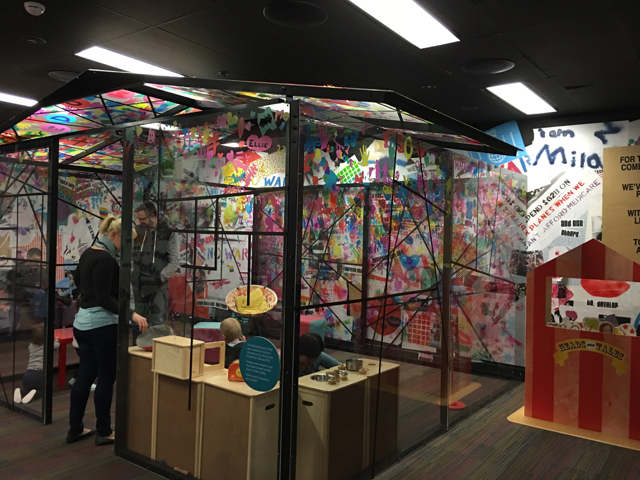 But of course, the space which attracts many visitors to the Museum of Australian democracy is the kids space 'Play Up' where kids can play up, dress up, make up, think up, stand up and step up! Play Up consists of three rooms. 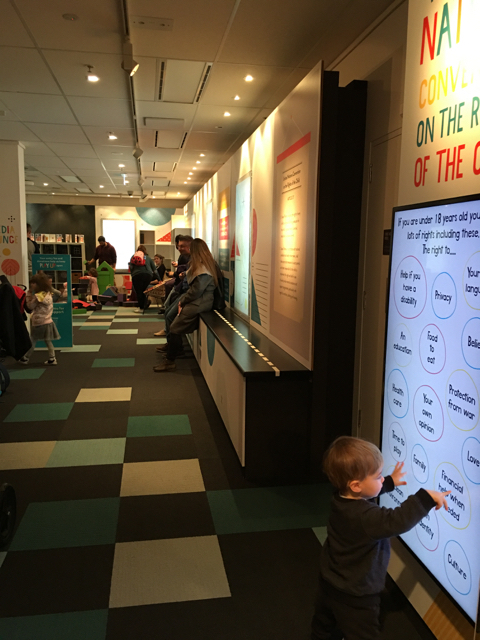 The first room has a toy area with many toys, building blocks, an area where kids can do some colouring in as well as an area where they can watch and listen to some Australian stories. The second room is a library where kids can lounge on bean bags and read books, hide in the Tipi or play with construction gear. The third room is The Right to Shelter where kids can pretend play at a little play kiosk with politicians' faces or play in the play kitchen too. Also don't miss the DRESS UP space where kids can dress up like many past politicians or past public figures which is located right near PLAY UP. 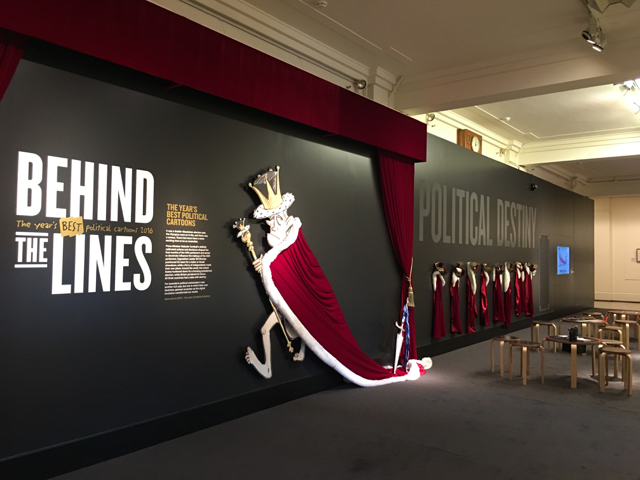 When we visited, we peeked at the Behind The Lines exhibition where kids could dress up as royalty with a fancy cloak and do some colouring in or play some games at the small tables setup. The Museum of Australian Democracy is open daily (except for Christmas Day) from 9am to 5pm. Admission is as little as $2 for adults, $1 for children (free for children under 5 years old) and concessions, $5 for a family. 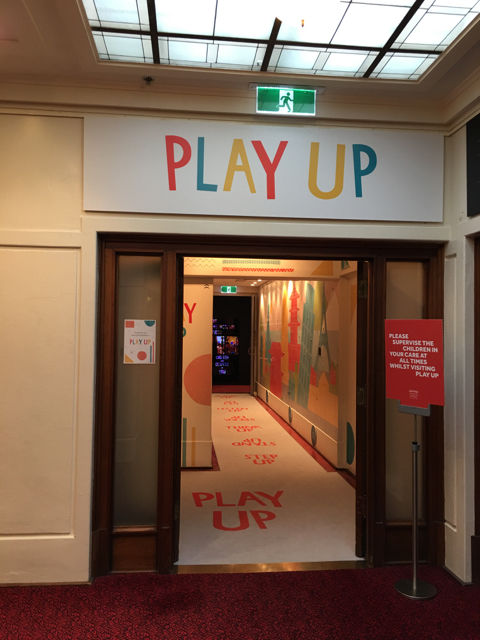 Entry to Play Up is FREE after general entry. It is a popular spot so head there early or as the museum opens. You can take your pram in the Museum but be mindful that you will have to take several lifts to get to the different levels of the Museum. Entry to the lift is via the lower entries which are located at the front of the building, either side of the main stairs. There is parking in the area or near Questacon. There are Baby change facilities available behind the visitor’s service booth in Kings Hall and on the first floor Senate (red) side of the building opposite the children’s “Dress-Up” room. Make the most of your visit by checking Museum's website before you head out to see what new exhibitions are out and if there are any special events coming up too. 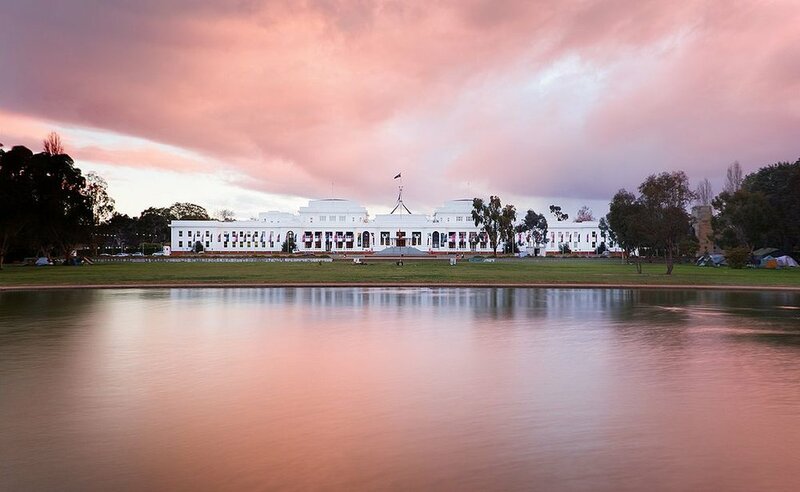 For more information on the Museum of Australian Democracy at Old Parliament House, head to their website.